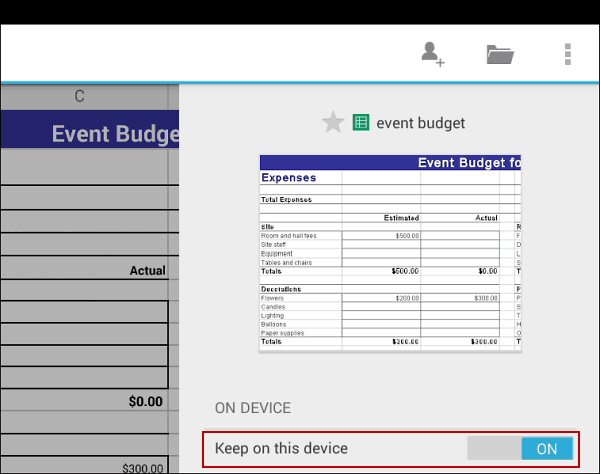 The mobile apps for the Google Docs services used to be part of Google Drive, but not anymore. Now you work with docs offline for productivity on the go. 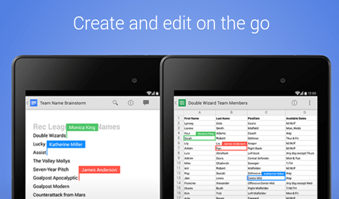 The mobile apps for the Google Docs services used to be part of Google Drive, but not anymore. 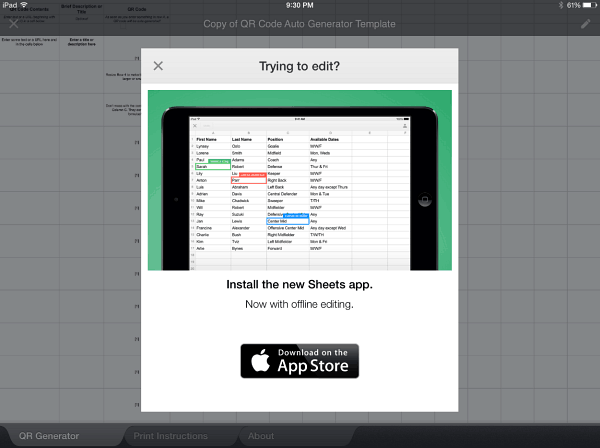 In order to edit documents, Google announced that you’ll need to use Google Sheets and Docs apps. This will allow you to keep your important work saved locally, and if you lose a data connection, your work won’t be interrupted while on the go. 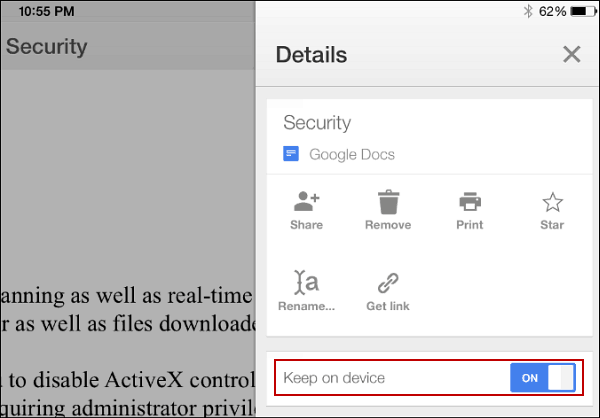 When you start Google Drive on your device and try to edit a document or spreadsheet, you will get a notification like the one below, prompting you to get the new apps. This change is in place for both iOS and Android. The apps offer the same features the Drive versions, albeit the interface is a bit different. You can edit files together with your friends and then automatically save them to the cloud. The good news is that a local copy is now saved to your device, so you won’t need an Internet connection to to finish the document you’re working on. It allows you to keep working whether you have a connection or not. You have to enable the option for every file you want kept on your device though. To do that, click the Info button on the top right side when the file is opened. Then toggle “Keep on this device” to ON for the respective file. You can also turn shares on or off from the same place. On iOS the interface is a bit different, but functionality is there to save it to the iPad or iPhone. While there aren’t any notable new features in these apps, the secret sauce is that you can keep them locally on your device. If you lose your data connection, you won’t be cut off from what you’re working on. Then the changes you make to documents offline will appear the next time you connect. What’s your take? Do you like the fact that Google is moving these apps into their own separate apps? Or do you prefer the old way of doing business? Leave a comment below and tell us your story.